Pretty Little Liars is about a group of girls that lost their friend. Now that summer break is over they are back in school and there is someone who is threatening their lives. They must find out who it is before someone gets hurt. I think that this book was amazing! I read this book three times because it was that awesome. I would recommend this book to others because I think they would enjoy it - especially if they are interested in mystery series. Pretty Little Liars by Sara Shepard is about 5 best friends, Alison, Emily, Hanna, Spencer, and Aria. Ali, the head of the clique, made the four girls do terrible things and taunted them with their secrets. When Ali went missing, they began receiving messages from someone who knew everything from their past and the deepest secrets that only Ali knew. Pretty Little Liars is a mysterious book because you don't know what's going to happen next which makes you want to keep reading. I would definitely recommend this book to others who love high school secrecy and friendship. 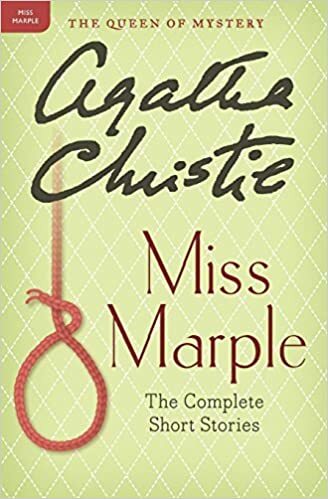 In Miss Marple: The Complete Short Stories, the scatter-brained Miss Marple has yet again solved 13 mysteries that prove her uncanny ability of seeing through lies and seeking the truth! From a serial wife killer to a fortune teller predicting someone's death, this elderly detective is the only one who can clearly see the person at fault, the motive, and the means of committing the crime. I find mysteries thrilling, so 13 of these treats in one book was like paradise! I really enjoy Christie's portrayal of Miss Marple as a dear old lady who actually has an acute sense of evil. For those who like flipping to the end of a mystery book to find the solution, this book is perfect since it only takes 15 pages to find out who the criminal is! If you enjoy reading mysteries as much as I do, I'm sure these short stories will entertain you for a couple of days! Although The Golden Ball and Other Stories is not your typical Poirot or Marple mystery, Christie delights readers with 15 mind-boggling mysteries that keep the reader hooked until the end. Above all, the romance, crime, and supernatural themes create twists in the plot that only Agatha Christie is capable of writing! From a Grand Duchess in hiding, to the ghost of a child who had starved to death, each passage in this book is completely unique from the other. Because of this, I found The Golden Ball and Other Stories to be very addicting; I couldn't keep myself from reading it! This is a book I'd definitely recommend to mystery-lovers. 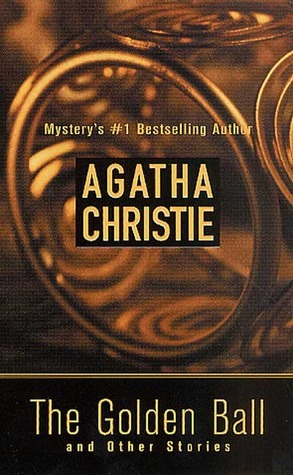 Agatha Christie does not fail to amaze the reader 15 times with well-hidden clues and intricate explanations. In The Strand Prophecy, a mysterious superhero named Strand discovers that the Earth is going through a rapid evolutionary cycle, which means that monsters of all kinds are threatening and killing humans. Strand has to protect the innocent, such as his niece, from both the monsters and the government, while dealing with his own internal struggles. The Strand Prophecy is an incredible, well-written novel that is full of action, drama, and surprises. Even though its details and descriptions may go a bit overboard sometimes, it's full of pictures and sketches that help readers visualize the ideas and characters. book is extremely underrated and unknown for how fantastic it is! The novel Blood Fever by Charlie Higson is about the adventures of a young boy named Bond, James Bond. Upon visiting his cousin on the island of Sardinia, he learns of a relative of one of his schoolmates was kidnapped by pirates on the Mediterranean sea. Soon he is caught up in an island-wide war and must save the prisoner and escape with his life. I like this novel because it has all the elements of the original James Bond books and has all new characters. I recommend this book to all James Bond fans and people who love adventure. In the book Subject Seven, James A. Moore writes about a government project gone awry. Subject Seven, a "sleeper" assassin living inside a teenager, breaks free and searches for others like him to destroy the thing he hates most, the people who created him. I like this book because it is suspenseful and keeps you guessing. The action is also thrilling and goes into in depth detail of the characters' thoughts. I would recommend this book to someone who likes action movies and science fiction. Inheritance is the final book in the series that began with the book Eragon about a young farm boy who finds a dragon's egg while hunting. In this final book, Eragon confronts the evil king Galbitorix who killed off the dragon riders and has ruled Aligaisia ever since. Meanwhile, Eragon's cousin Roran leads the armies of the Varden to defeat Galbitorix's solders. I like this book because it is fast-paced, in depth, and is full of memorable characters. As a great conclusion to the Eragon series, I would recommend it to anyone who has read the first three books and fans of fantasy epics. The Inner Circle was a high speed political book about a young archivist in the National Archives who discovers a plot to blackmail the President and a secret intelligence team that has been around since the nation was founded. The archivist has to decide which party he should trust and what the right thing to do is. This was a gripping book that I found hard to put down. The plot was well thought out and the action was real. The political setting in Washington D.C. also added intrigue to the story. I would recommend this book to people who enjoy plot twists, political schemes, action, and fast paced writing. Eldest is the second book in a series in which a teenage farmer named Eragon finds a dragon egg. He then raises the young dragon and becomes a legendary dragon rider. Eragon is sent to the elven city of Ellesmira to train. He experiences many difficulties and hardships during his stay in Ellesmira. Eregon's cousin, Roran, is in his hometown of Carvahall when the Raz'ac bring a large group of soldiers to find Roran. Roran and the villagers fight back, but they are eventually forced to flee Carvahall in pursuit of safety. They sail to Surda to escape the Raz'ac. Eragon and Roran meet in Surda during a war with Galbatorix's army. They eventually cause Galbatorix to momentarily retreat. I liked this book because of its thrilling adventure, action-packed scenes, and humorous moments. I would definitely recommend this book to someone interested in a fiction novel. Venom and Song is a fantasy novel about seven kids who are actually elven lords. After being captured at birth and brought to earth, the elves are brought to a portal back to the elves' homeland. The lords must learn to master their abilities of mind-reading, enhanced sight, fire, air-walking, future telling, strength and healing, and super human speed. They have to defeat the army of Vesper Crag, evade relentless attacks by the Spider King, and, ultimately, conquer evil. I enjoyed the suspense and humor in this book! It was also interesting how it tied in with Christian beliefs. I would recommend Venom and Song to people who are intrigued by exciting fantasy. If you enjoy suspenseful books, this is a great book to read! Divergent was about a society that was divided into 5 factions. Candor, the honest; Abnegation, those who forget themselves to help others; Amity, the friendly; Dauntless, the brave; and Erudite, the intelligent. This book was about one particular girl, Beatrice, who is from Abnegation, and her story of how she found her own life through the controlling factions! Divergent was amazing, because just like the Hunger Games, you really feel proud of how we live nowadays. In Divergent, they had to choose one quality to live by, while in our life we get to try all the qualities. I would recommend this to those who liked the Hunger Games, and maybe even those who didn't. Compared to the Hunger Games, this book had a bit more romance involved, so for those of you who like action and romance it's perfect! The Nine Lives of Chloe King is about how Chloe discovers what her mysterious heritage came with, and it's a lot more than most. Liz Braswell's novel was a compelling read where she used an amazing amount of foreshadowing; definitely a page turner. I would recommend this book to anyone who likes novels in the genres of adventure and mystery.